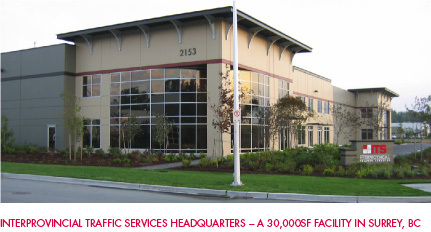 Interprovincial Traffic Services Ltd. is a privately held business with our corporate office and warehousing facility located in Surrey, British Columbia, Canada. We provide the transportation market with innovative products and technology designed to improve the safety and efficiency of both current and future transportation infrastructures. Since opening our doors in 1973, we’ve built a strong reputation offering quality products and solutions to cities, municipalities, and contractors across Western Canada, serving the Provinces of British Columbia, Alberta, Saskatchewan and Manitoba. 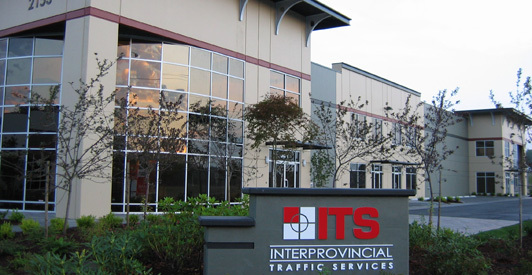 Interprovincial Traffic proudly represents a number of ‘best in class’ manufacturers with products ranging from pavement markings and traffic calming devices to signals, controllers and central system software. We exclusively represent many of these companies and over the years have developed very dedicated partnerships with each that in turn allows us to better serve our client base. The foundation of our success is directly related to our customers loyalty and confidence in our ability to deliver quality products of excellent value that perform reliably and as promised. Equally important to our present and future success is our people. Behind every product we sell stands an Interprovincial Traffic employee that brings first hand state-of-the art knowledge, experience and the highest level of product support in the industry. All are committed to meeting and exceeding our customers expectations and continuously strive to better understand the needs of the growing and ever-changing transportation industry.